If you are inclined to think that folk music is either something for aging relics of the sixties or exclusively sold by the cash register at a Starbucks, worldwide folk music sensation Anda Union just might be the surprise you’re looking for. The members of the group are from Hohhot, the capital of the Inner Mongolia region of northern China, but their roots are out in the empty grasslands where many of their families still live. Their aim is to rework the region’s traditional music, with its stories of herdsmen and ancient nomadic customs and beliefs. Of course, if your knowledge of Mongolian history is limited to Genghis Khan, this musical tradition might seem unusual or out of place. Anda Union are happy to confound this expectation with their passionate intensity and music designed to shatter cultural barriers. The nine musicians on stage play traditional acoustic instruments that include the morin huur fiddle, fixed with a horse head; the tobshur Mongolian lute and moadinchur flute, along with percussion and a box-shaped double bass. However, their brotherhood is sealed when they all sing, swapping lead vocals and harmonies easily, as if to share the music equally among themselves. The meaning of ‘anda’ is ‘blood sibling’. In Mongolia a blood brother or blood sister is often considered more important than a birth brother because you choose a person to become an anda. It’s a fitting name as the band’s success lies in the tight instrumentation and the closeness of the musicians. Most of band’s members have been playing together since childhood, but they formed Anda Union in the year 2000. Since then, the group describes themselves as music gatherers. 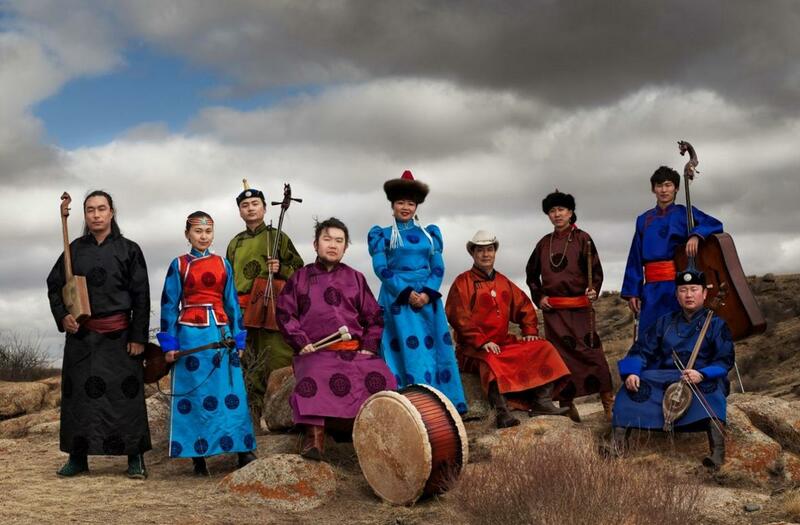 They are on a mission to stimulate their culture, digging deep into Mongol traditions and unearthing forgotten music. 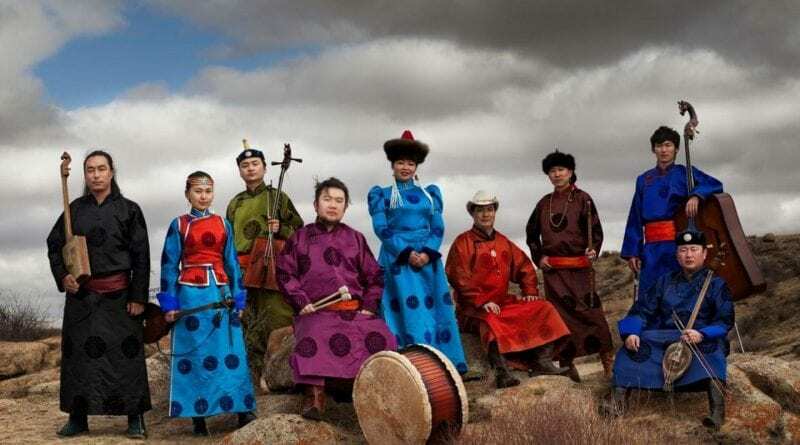 The band’s sound combines different traditions and styles of music from all over Inner and Outer Mongolia. That mix creates a style that has literally never been heard before. Still, it somehow sounds like home to them, where Anda Union leads a musical movement that is finding inspiration in old and forgotten songs, drawing on a repertoire of magical music that had all but disappeared during China’s recent tumultuous past. Fans of western music shouldn’t be scared away though, their songs are based on melodies that are as memorable and accessible as any great western folk songs. The music and arrangements rapidly change in volume and complexity too: quiet drones give way to vigorous melodies, frenzied bowing and guttural throat vocals in a hurry. It’s not hard to hear why they’ve managed to tour the world many times over. Visit markhamtheatre.ca for more details. Photo: Anda Union perform at the Flato Markham Theatre on April 17.